Bothering Birds: Let the Irish Birds Begin! Let the Irish Birds Begin! I finally got out and managed to get some decent photos of some of the local birds. The Sun made a nice appearance with no clouds around until midday, and so far it hasn't rained all day. I decided to take the kids to the big playground in Maynooth, which is along the royal canal and the local train station. But the first photo of the day was from the backyard... I mean garden. I had been hearing a buzzing or clicking almost non-stop for the past few days and finally managed to see the culprit. 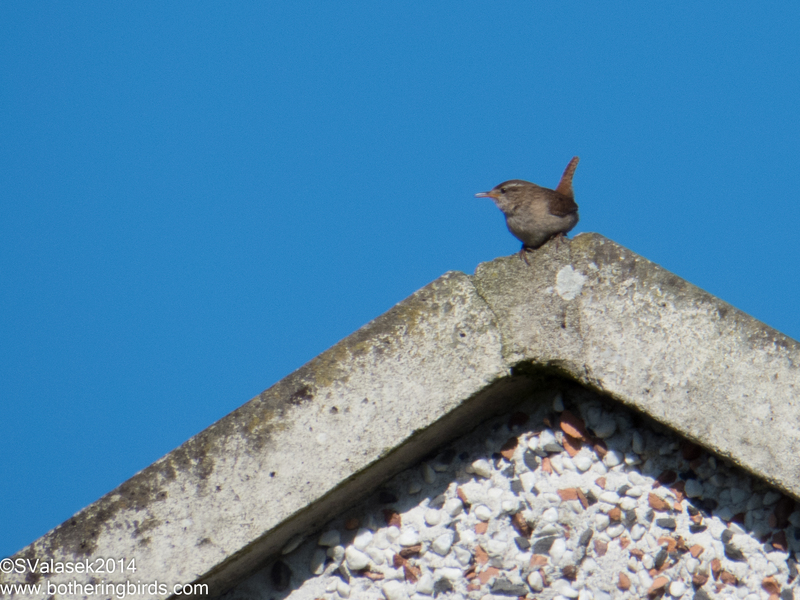 It was a tiny Wren sitting on top of a neighboring building. It's easy to ID because there's only the 1 Wren in Ireland, and all of Europe. To think that I've seen 9 different species in the US alone, and I'll say all of the US species, but the Sinoloa Wren may be established by the time that I get back. 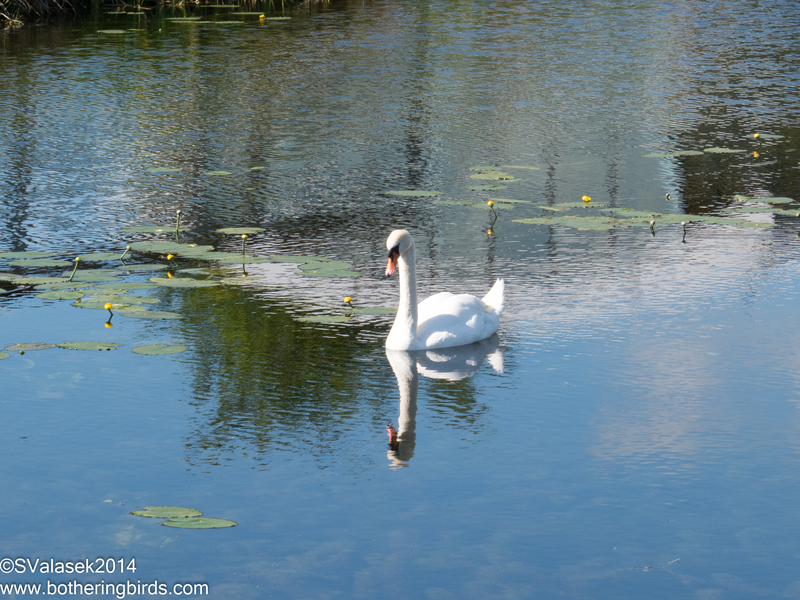 Over on the Canal was a Mute Swan. I had seen a pair just a few days ago, but this one was all by itself today. There are lots of black birds here. Namely the Blackbird, which is more of an all black American Robin and not like the Blackbirds seen in the US. It even sings like one. But that is one bird who has alluded me so far. But the two most common ones are the Jackdaw and the Rook. 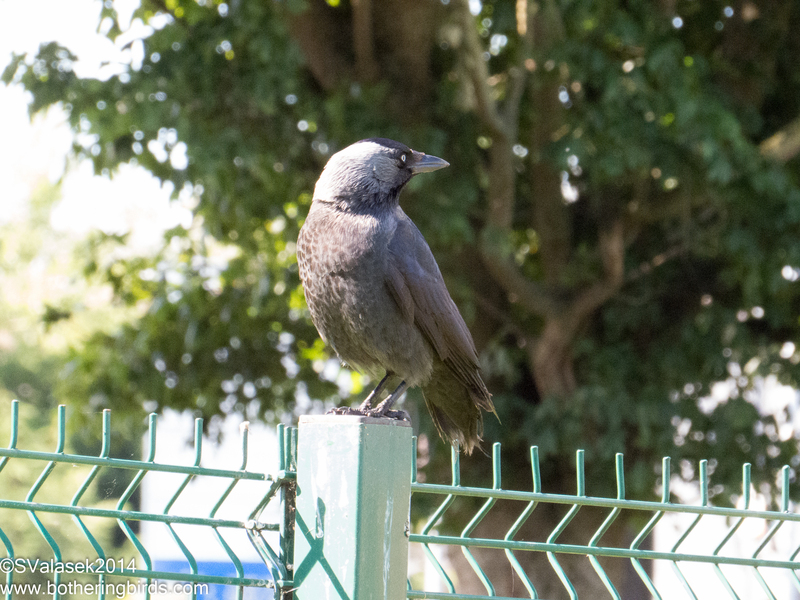 The Jackdaw is very likable. They seem to be everywhere and have a cute sound to them. The above shot really shows off the two-tone coloring on their heads. but they are mostly black. Rooks seem to fill the role of crows back in the States. They sound like a Corvid, but have lighter colored beaks. 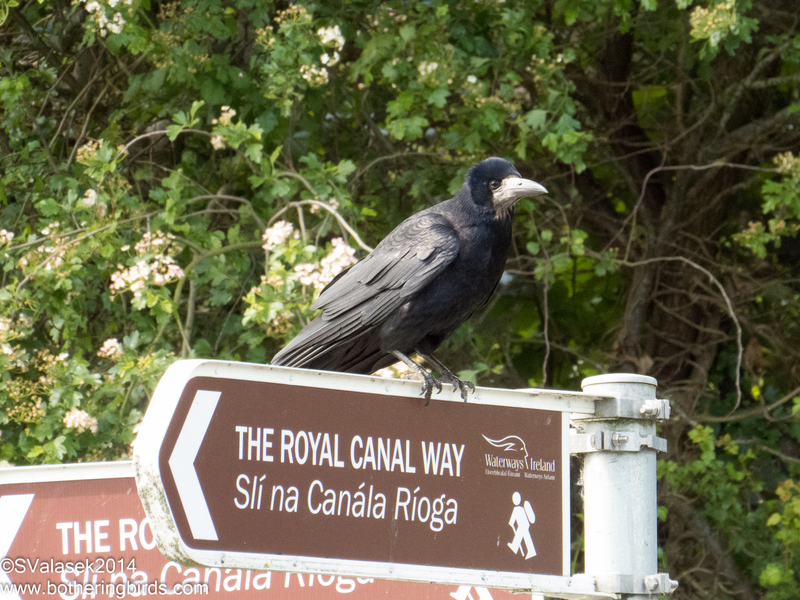 As far as other black birds go, I've seen a Hooded Crow, but not Carrion Crow or Raven yet. 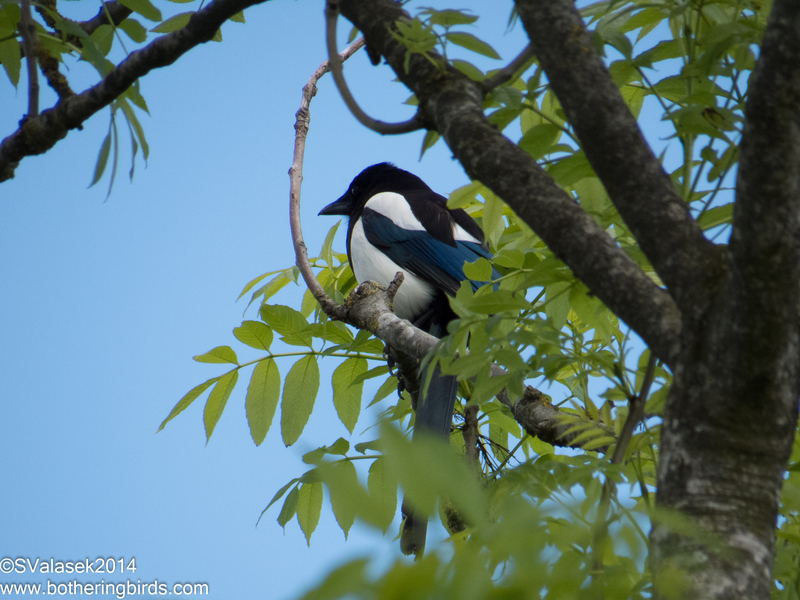 And for a nice segue, here's a Magpie, which seem to be everywhere around Maynooth. 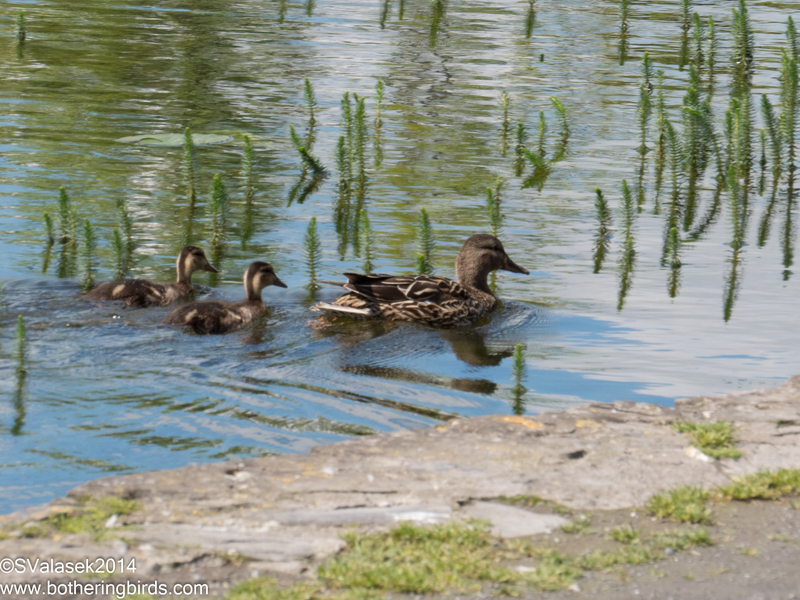 Besides the Mute Swan on the canal, there were a few Mallards out and about, including this mom and a couple ducklings. And moving through the reeds was a nice surprise. 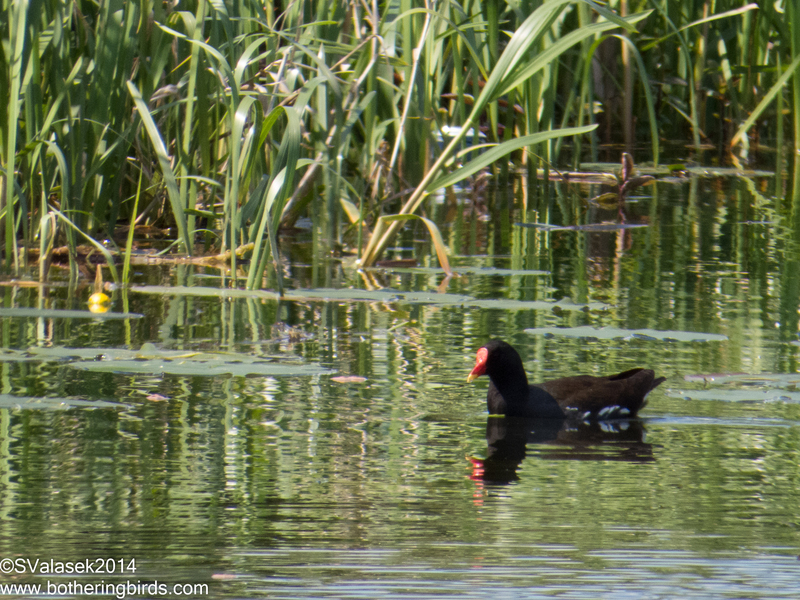 What I thought at first was a Eurasian Coot, was instead Common Moorhen. I saw another one further down the canal with a chick, but I didn't get a chance to get a photo before they disappeared into the reeds. There were quite a few small birds around the playground too. 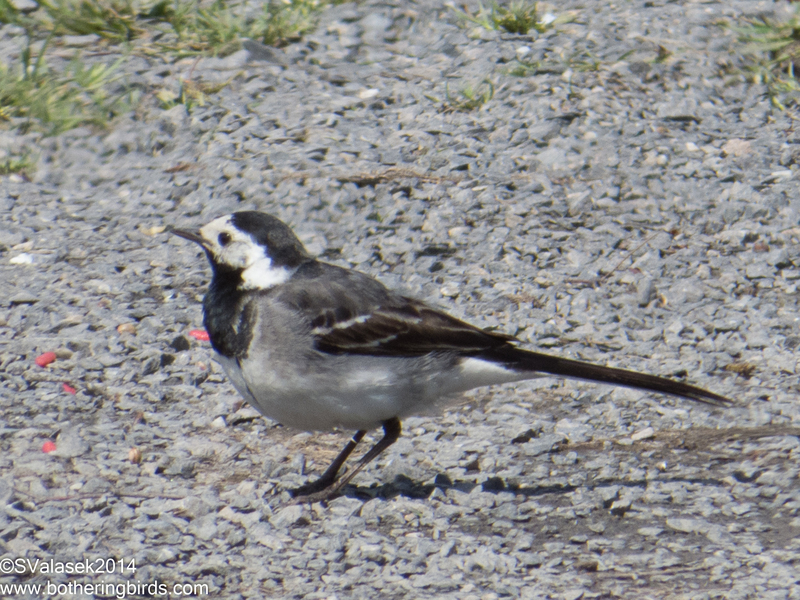 The most numerous that I saw were Pied Wagtails. A really neat looking bird that have a real knack for running away from a camera. 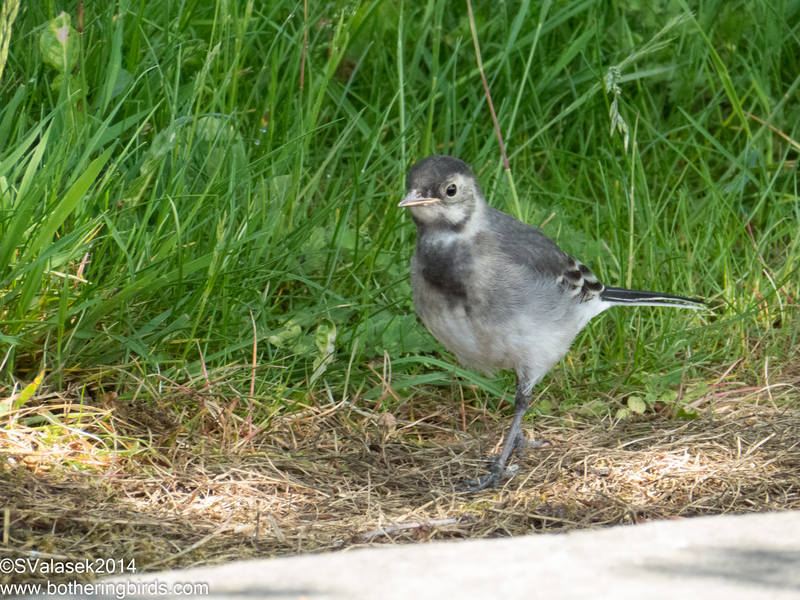 And it took me a bit of work to pin down the ID on this other bird, but it ended up being an immature Pied Wagtail. 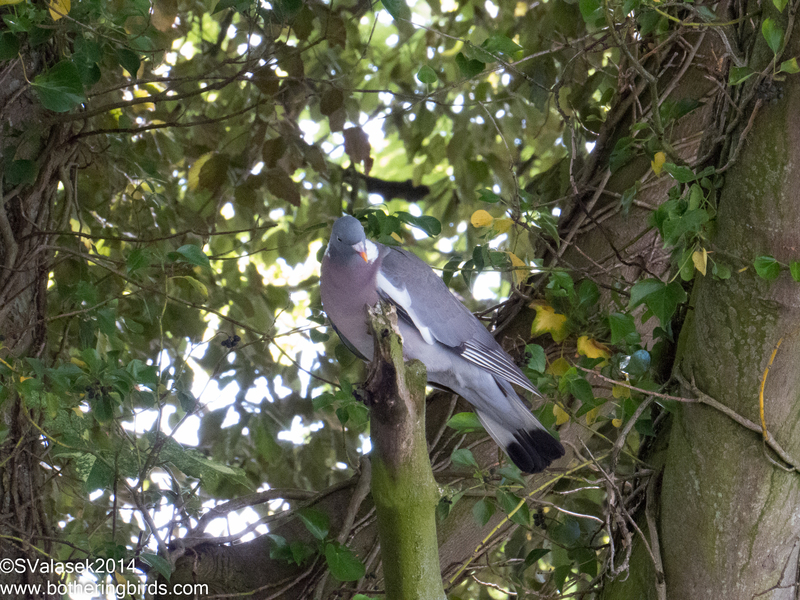 Another very common bird is the Wood Pigeon. They have been very active building nests along Carton Avenue, and everywhere else. As a matter of fact, I haven't seen Rock Pigeons yet, but plenty of these better looking ones. Finally, just before we got into our car and left to do some shopping, I saw a small bird fly into a tree near the car park. I was busy with the kids, but I managed to get one photo off before leaving. 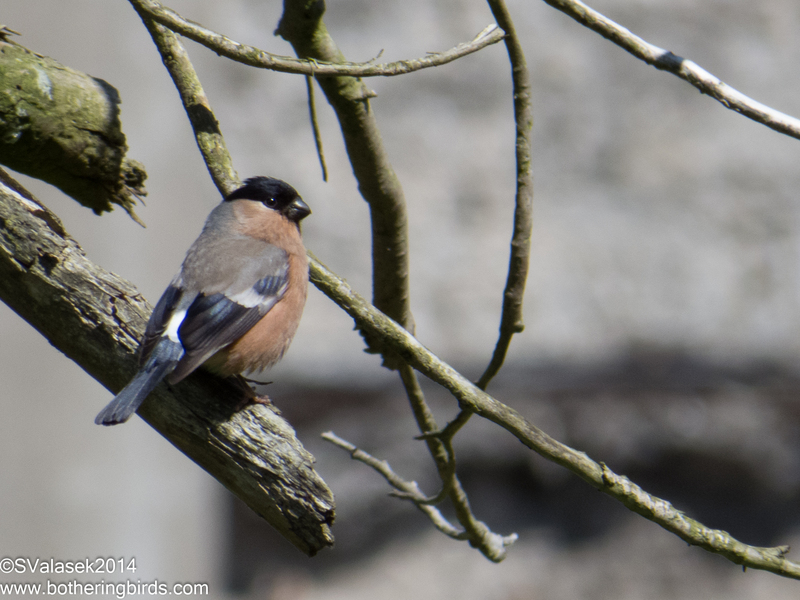 It was a Bullfinch! One of the birds from the cover of the Birds of Europe, from Princeton Field Guides, the best field guide that I've ever seen. It was a bird that I had really wanted to see and surprise, there it was when I wasn't even trying. I'm up to 25 species ID'd so far. Hopefully the weather stays nice and I can get out and maybe get some photos of the rest of the birds that are around. Thanks Mark! Although, the normal light and mist is making me miss my nice, big lens.